Give your skin a little TLC with the Meet Your Mask Kit by Peter Thomas Roth, a set of six detoxifying, hydrating and firming face masks all formulated for different areas. Combining nutrient rich nature-derived ingredients with bio-scientific actives, the products works to rid the skin of impurities, even out rough textures and deliver intense moisture to the complexion for a renewed, glowing appearance. 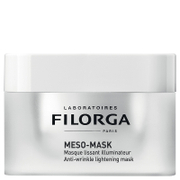 A powerful face masks that targets the appearance of dull, ageing and congested skin through three key ingredients: exfoliating Pumpkin Enzyme, peeling Alpha Hydroxy Acid and polishing Aluminium Oxide Crystals. The resurfacing mask helps improve the appearance of uneven skin tones, rough textures and blemishes for a smooth, radiant and revitalised complexion. An ultra-gentle anti-irritant gel that helps soothe, hydrate and detoxifty the look of dry, irritated skin with all-natural extracts from botanicals from Cucumber and Papaya, to Sugarcane, Lemon and Aloe Vera. Suitable for all skin types, the non-stinging formula soothes and calms the skin’s appearance after sun exposure, peels, waxing, facials and extractions. A purifying, decongesting and hydrating face mask, which helps draw out impurities from clogged pores and infuse skin with moisture, essential nutrients and potent antioxidant benefits. The formula is powered by 9,000-year-old black Irish Moor Mud that is harvested by hand, combined with Hijiki Seaweed, Volcanic Ash and Activated Charcoal for effective cleansing to help minimise the appearance of enlarged pores, fine lines and wrinkles. A luxurious anti-ageing treatment fortified with pure 24 Karat Gold to lighten, brighten and firm the skin. Helping reduce the appearance of fine lines and wrinkles, the innovative formula is enriched with a unique blend of effective ingredients, including Colloidal Gold which bestows a radiant glow on the skin, Caffeine which lifts, tightens and firms and Peridot, a magnesium-rich gemstone that re-energises and reduces stress induced ageing. Deeply nourishing, the pampering mask delivers intense hydration with the addition of Hyaluronic Acid and Glycerin, humectants that contribute to the plumping and lifting of wrinkles. An innovative formula that utilises cutting-edge plant biotechnology to help repair the signs of ageing on all skin types. Combining five Rose Stem Cells with four Rose Extracts, the cooling gel replicates plant technology to perform an unrivalled anti-ageing process on the skin. Nurturing and hydrating, the synergy works to reduce the appearance of fine lines and wrinkles whilst eradicating dullness and sagging. 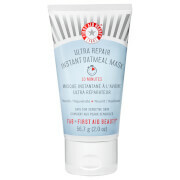 Rebuilding moisture barriers and tightening pores, the strengthening mask will stimulate cell renewal and leave your skin soft and radiant with a youthful appearance. A hydrating gel treatment mask rich with Blue Marine Algae, a soothing, nourishing seaweed that infuses skin with nutrients and humectants to help defend against dehydration and prevent future damage. The gel contains moisture energising Tea sourced from the Jeju Island of Korea to deliver deep nourishment and abundant moisture to skin, and Antarcticine, a unique glycoprotein sourced from Arctic glacial ice that helps skin retain water and protect against water loss in extreme climates or temperatures. 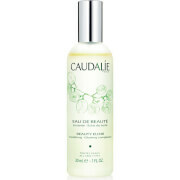 Pumpkin Enzyme: Apply a thin layer to clean skin. Gently massage in a circular motion with wet fingertips to polish with micro-polishing aluminum oxide powder. Leave on for 3-7 minutes depending on skin sensitivity and let the AHAs and enzymes work. Rinse thoroughly. Use one or two times per week. Cucumber Gel: Apply a generous coat on clean skin. Allow mask to remain on for 10 minutes. Rinse with cool water. For a very cool treatment, refrigerate product. For an intensive treatment, apply a thin layer as the last layer of skin care and leave on overnight. Use 2-3 times a week or daily for intensive hydration. Irish Moor Mud: Using fingertips, apply evenly on clean skin. Leave on for up to 10 minutes. Remove with a warm, damp washcloth and rinse skin thoroughly of any remaining residue. Use 2-3 times a week, or as desired. For external use only. 24K Gold: Apply a very generous, non-transparent layer to clean skin, thoroughly covering entire face. Allow to remain on for 5-10 minutes. Rinse thoroughly with warm water. Use 2-3 times a week or as desired. Blue Marine Algae: Apply a generous coat on clean skin. Allow mask to remain on for 10 minutes. Rinse with cool water. Use 2-3 times a week or daily for deep nourishment. Pumpkin Enzyme: Water/Aqua/Eau, Cucurbita Pepo (Pumpkin), Alumina, Glycerin, Triethanolamine, Carbomer, Lactobacillus/Pumpkin Fruit Ferment Filtrate, Sodium Lactate, Ascorbic Acid, Tocopheryl Acetate, Retinyl Palmitate, Bht, Sodium Hyaluronate, Leuconostoc/Radish Root Ferment Filtrate, Helianthus Annuus (Sunflower) Seed Oil, Citric Acid, Disodium Edta, Benzoic Acid, Sorbic Acid, Potassium Sorbate, Sodium Benzoate, Chlorphenesin, Phenoxyethanol, Benzyl Alcohol, Cinnamal, Fragrance/Parfum. Cucumber Gel: Water/Aqua/Eau, Butylene Glycol, Cucumis Sativus (Cucumber) Fruit Extract, Ananas Sativus (Pineapple) Fruit Extract, Vaccinium Myrtillus Fruit/Leaf Extract, Carica Papaya (Papaya) Fruit Extract, Acer Saccharum (Sugar Maple) Extract, Saccharum Officinarum (Sugar Cane) Extract, Aloe Barbadensis Leaf Juice, Chamomilla Recutita (Matricaria) Flower Extract, Chamomilla Recutita (Matricaria) Flower Oil, Citrus Limon (Lemon) Fruit Extract, Citrus Aurantium Dulcis (Orange) Fruit Extract, Mangifera Indica (Mango) Fruit Extract, Sodium Pca, Allantoin, Glycerin, Propylene Glycol, Disodium Edta, Sodium Hydroxide, Citric Acid, Carbomer, Triethanolamine, Polysorbate 20, Potassium Sorbate, Sodium Benzoate, Phenoxyethanol, Yellow 5 (Ci 19140), Blue 1 (Ci 42090). Irish Moor Mud: Water/Aqua/Eau, Glycerin, Peat, Charcoal Powder, Polyacrylamide, Lava Powder, Sargassum Fusiforme Extract, Kaolin, Bentonite, Lactic Acid, C13-14 Isoparaffin, Isohexadecane, Sodium Acrylate/Sodium Acryloyldimethyl Taurate Copolymer, Dimethicone, Xanthan Gum, Disodium Edta, Polysorbate 80, Laureth-7, Sorbitan Oleate, Sodium Benzoate, Potassium Sorbate, Phenoxyethanol, Mica (Ci 77019). Blue Marine Algae: Water/Aqua/Eau, Salvia Officinalis (Sage) Flower/Leaf/Stem Water, Glycerin, Pseudoalteromonas Ferment Extract, Camellia Sinensis Leaf Extract, Kappaphycus Alvarezii Extract, Algae Extract, Maris Aqua (Sea Water), Sodium Hyaluronate, Mica, Silica, Carbomer, Sodium Hydroxide, Disodium Edta, Citric Acid, Caprylyl Glycol, Potassium Sorbate, Sodium Benzoate, Phenoxyethanol, Titanium.